Background: Staphylococcus aureus is Gram-positive bacterium commonly associated with nosocomial infections. The development of biofilm exhibiting drug resistance especially in foreign body associated infections has enabled the bacterium to draw considerable attention. However, till date, consensus guidelines for in vitro biofilm quantitation and categorization criterion for the bacterial isolates based on biofilm-forming capacity are lacking. Therefore, it was intended to standardize in vitro biofilm formation by clinical isolates of S. aureus and then to classify them on the basis of their biofilm-forming capacity. Materials and Methods: A study was conducted for biofilm quantitation by tissue culture plate (TCP) assay employing 61 strains of S. aureus isolated from clinical samples during May 2015– December 2015 wherein several factors influencing the biofilm formation were optimized. Therefore, it was intended to propose a biofilm classification criteria based on the standard deviation multiples of the control differentiating them into non, low, medium, and high biofilm formers. Results: Brain-heart infusion broth was found to be more effective in biofilm formation compared to trypticase soy broth. Heat fixation was more effective than chemical fixation. Although, individually, glucose, sucrose, and sodium chloride (NaCl) had no significant effect on biofilm formation, a statistically significant increase in absorbance was observed after using the supplement mix consisting of 222.2 mM glucose, 116.9 mM sucrose, and 1000 mM NaCl (P = 0.037). Conclusions: The present study puts forth a standardized in vitro TCP assay for biofilm biomass quantitation and categorization criteria for clinical isolates of S. aureus based on their biofilm-forming capacity. 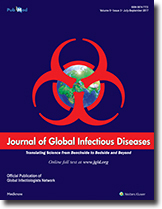 The proposed in vitro technique may be further evaluated for its usefulness in the management of persistent infections caused by the bacterium. Background: Sepsis is a commonly encountered and potentially life-threatening problem in neonatal intensive care units, blood culture of neonatal sepsis helps in either optimizing treatment or terminating antibiotics. Materials and Methods: We determined the causative agent, time to positivity (TTP), and antibiogram of neonatal blood cultures collected in a tertiary care center, to investigate difference between early- and late-onset neonatal sepsis and to establish the time at which a blood culture could safely be considered negative, using the BacT/ALERT® 3D 60. 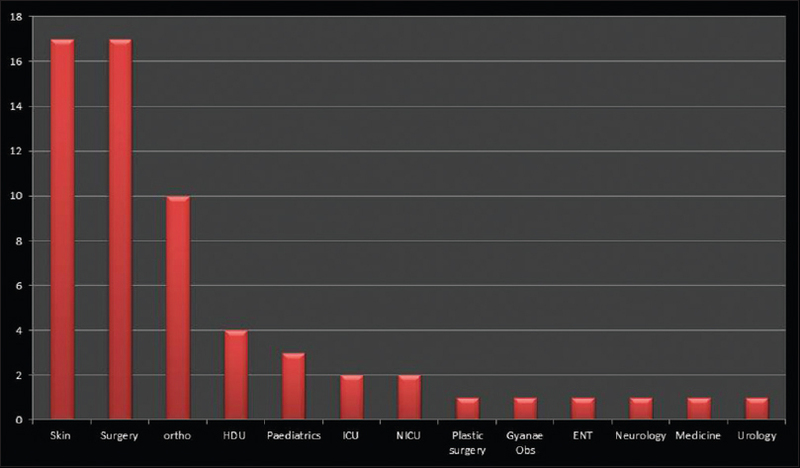 A total of 826 clinically suspected neonates suffering from sepsis and admitted to a neonatal intensive care unit of a tertiary care hospital, Alexandria, Egypt were included in this study. Results: Eighty-five (10.29%) showed positive results. The overall TTP median was 21.1 h. Out of the 85 positive cultures, 57 (67.06%) were Gram-positive, 15 (17.65%) were Gram-negative, and 13 (15.29%) were fungi (all Candida). Coagulase-negative staphylococci were the predominant organism (41.18%). All the Gram-positive pathogenic isolates were sensitive to vancomycin and tigecycline. Among the Gram-negative isolates, maximum antibiotic sensitivity was observed for levofloxacin. Conclusion: We conclude that more than 3 days of incubation may not be required when using the BacT/ALERT® 3D 60 system. Background: In the recent past, scrub typhus (ST) has been reported from different parts of India, based on Weil-Felix/enzyme-linked immunosorbent assay (ELISA)/indirect immunofluorescence assay (IFA). Molecular tests are applied only by a few researchers. Aims: Evaluation of a new commercial real time polymerase chain reaction (PCR) kit for molecular diagnosis of ST by comparing it with the commonly used IgM ELISA is our aim. Settings and Design: ST has been reported all over India including Puducherry and surrounding Tamil Nadu and identified as endemic for ST. This study was designed to correlate antibody detection by IgM ELISA and Orientia tsutsugamushi DNA in real time PCR. Materials and Methods: ST IgM ELISA (InBios Inc., USA) was carried out for 170 consecutive patients who presented with the symptoms of acute ST during 11 months (November, 2015– September, 2016). All 77 of these patients with IgM ELISA positivity and 49 of 93 IgM ELISA negative patients were subjected to real time PCR (Geno-Sen's ST real time PCR, Himachal Pradesh, India). Statistical Analysis: Statistical analysis for clinical and laboratory results was performed using IBM SPSS Statistics 17 for Windows (SPSS Inc., Chicago, USA). Chi-square test with Yates correction (Fisher's test) was employed for a small number of samples. Results and Conclusion: Among 77 suspected cases of acute ST with IgM ELISA positivity and 49 IgM negative patients, 42 and 7 were positive, respectively, for O. tsutsugamushi 56-kDa type-specific gene in real time PCR kit. Until ST IFA, the gold standard diagnostic test, is properly validated in India, diagnosis of acute ST will depend on both ELISA and quantitative PCR. Background and Aim: The brief illness perception questionnaire (BIPQ) has been used in many populations for both adults and children, and it provides a rapid assessment of illness perception. This study was performed to create a translated version of the BIPQ to fit the Korean society and to test its validity through pulmonary tuberculosis (TB) patients. Methods: Translation and transcultural adaptation of BIPQ, applicable to the Korean society, was performed in accordance with the international guidelines. Internal consistency, test-retest reliability, concurrent validity, and discrimination validity were evaluated. To assess the discrimination validity, the BIPQ scores were compared between pulmonary TB and chronic obstructive pulmonary disease (COPD). Results: Sixty-eight patients with pulmonary TB participated in this study. Cronbach's α coefficient was 0.753, which indicated satisfactory internal consistency. The concurrent validity showed significant correlations (Pearson's correlation of 0.753). The test-retest reliability was confirmed with an intraclass correlation coefficient of 0.892. The total score of BIPQ in patients with COPD was significantly higher than that in those with pulmonary TB (37.67 vs. 30.85; P= 0.005), which supported the discrimination validity. Conclusions: The Korean version of BIPQ was found to be a reliable and valid questionnaire for patients with pulmonary TB. 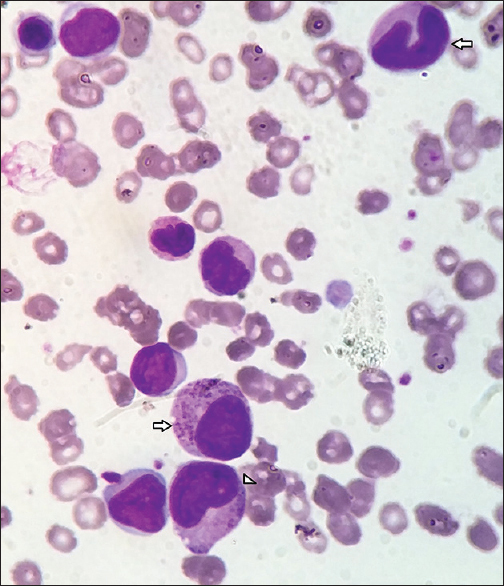 We present a case of a young male, who presented to us with high-grade fever for more than four weeks, refractory seizures, multiple subcutaneous palpable lumps, and evidence of leukocytosis with predominant left shift on the peripheral smear. 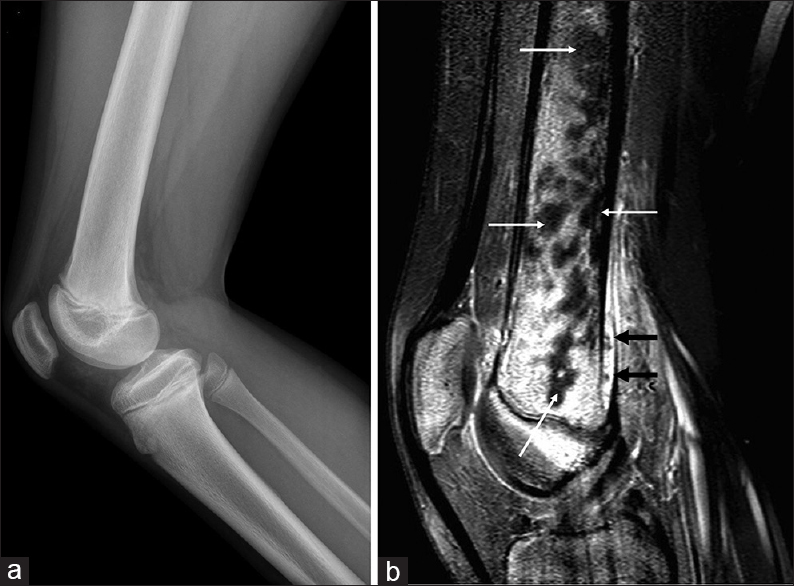 The classic “starry-sky” appearance on imaging, generalized muscular uptake on positron emission tomography-computerized tomography scan, and positive serology led to a diagnosis of disseminated cysticercosis. He responded to oral steroids. To the best of our knowledge, disseminated cysticercosis presenting as pyrexia of unknown origin and with a leukemoid reaction has never been reported in literature. Hookworm infestations, endemic in India, are a common cause of iron deficiency anemia. 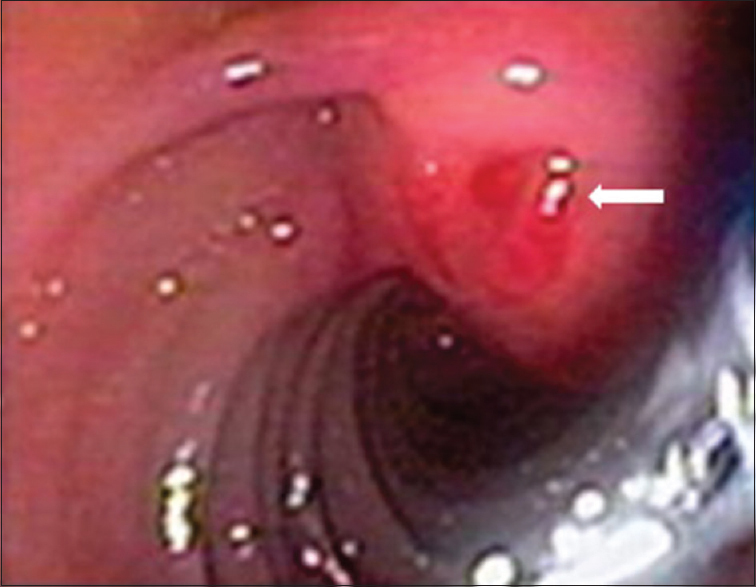 Hemosuccus pancreaticus, a rare clinical condition, is due to passage of blood into the pancreatic duct possibly through a route between an aneurysm of an artery close to the pancreas and/or pancreatic duct, leading to gastrointestinal (GI) bleeding. Portal hypertensive upper GI bleed is also known since long. We report a case of a 38-year-old male with a history of alcoholism who was being investigated for GI bleeding who had concomitant hookworm infestation, hemosuccus pancreaticus as well as portal hypertension. To the best of our knowledge, this is the first report of common occurrence of hemosuccus pancreaticus and portal hypertension with hookworm infection. 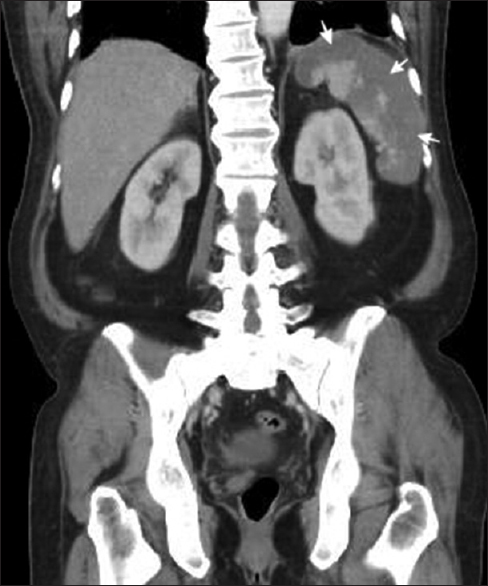 This case signifies the importance of infectious causes of GI bleeding to be considered even in cases where anatomic malformations or pathophysiological alterations are predominant. Infective endocarditis (IE) is caused due to the vegetation on the heart valves, myocardium wall, or the pacemaker leads. Vegetation is a lesion that appears as a consequence of successive deposition of platelets and fibrin on the endothelial surface of the heart. Colonies of microbes can be usually found under the vegetation. Heart valves are involved more frequently as compared to other places. Streptococcus miti s, formerly known as S. mitior, is a commensal of the oral flora, however, if there of loss of integrity of the mucous membrane, the infection may disseminate to the blood flow. 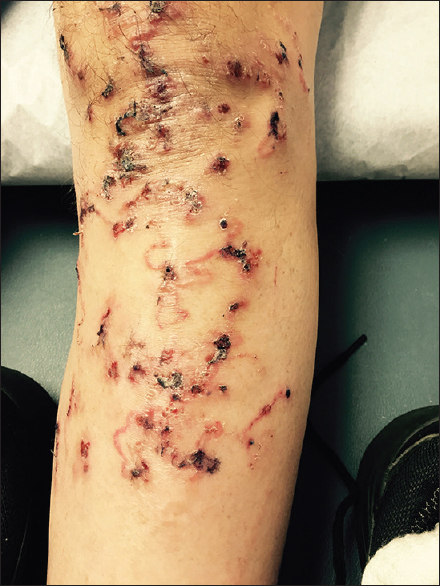 We describe here a rare presentation of S. mitis, causing IE and its complications in an immunocompetent patient.